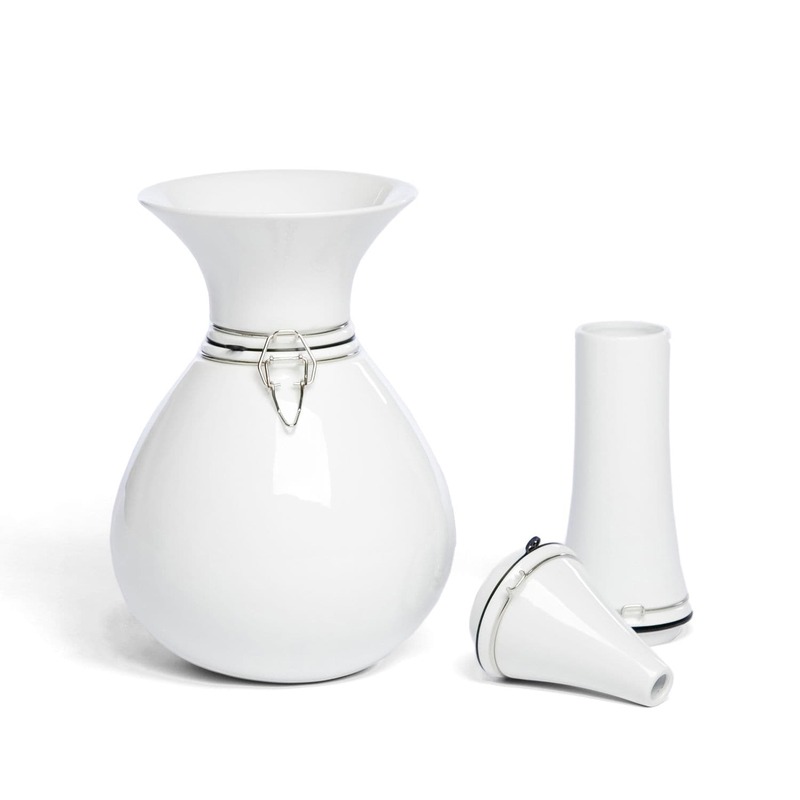 The FlexVase consists of a base part with three different inserts. 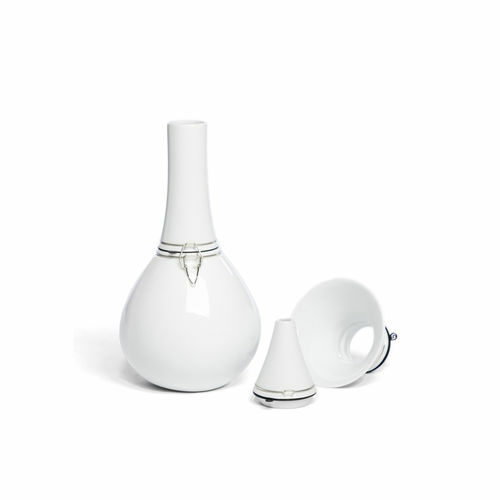 The inserts can be exchanged to adapt the vase to the bouquet it holds. 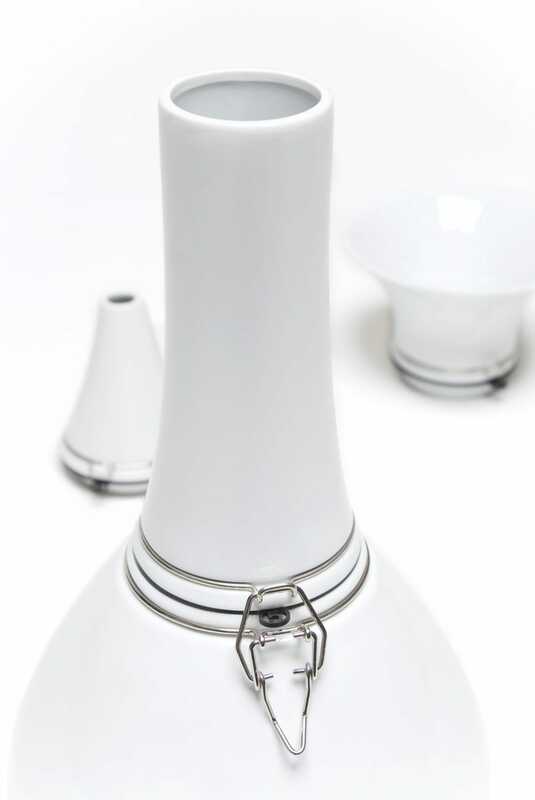 Based on the canning jar principle, a practical clip holds the pieces together while giving the vase a simple decoration. 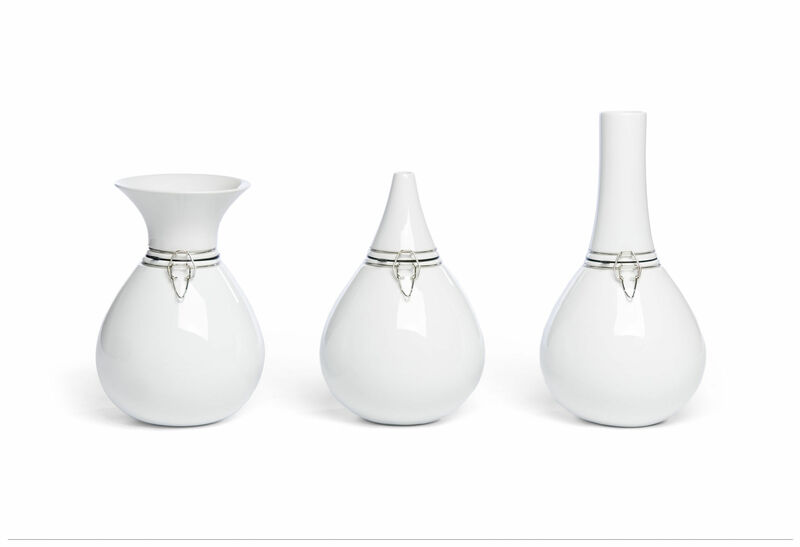 The FlexVase comes as a complete set including three inserts and is available in pure white porcelain. 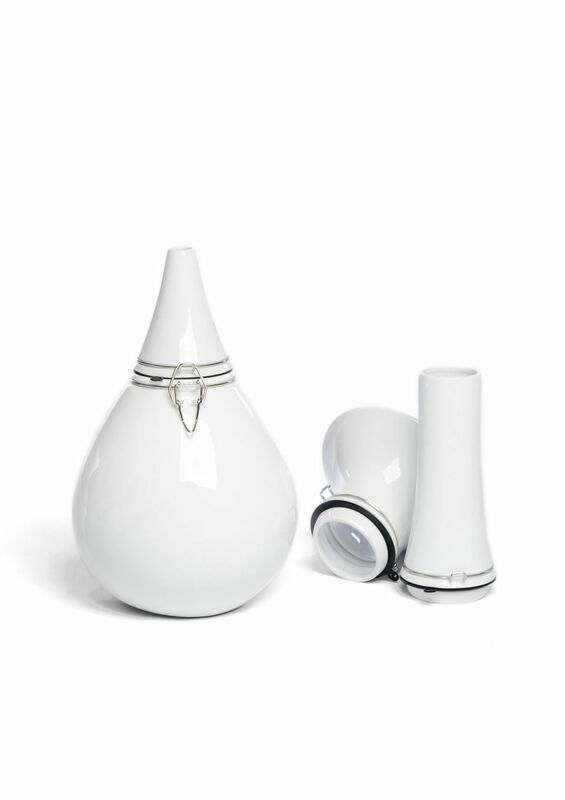 White porcelain, black rubber rings and metal clips. The FlexVase is sold as a set which consists out of a basic vase and three separate inserts; a high insert, a wide insert and a low insert.